The Traverse has been around since 2009 and has been Chevy’s version of the Lambda-based GMC Acadia and Buick Enclave. With GM’s movement away from the aging Lambda platform, these vehicles migrated (save yet for the Enclave) to the new CX11 chassis. The 2017 Acadia was first out of the gate, but the Traverse now follows. However, the two are not badge-engineered twin anymore. 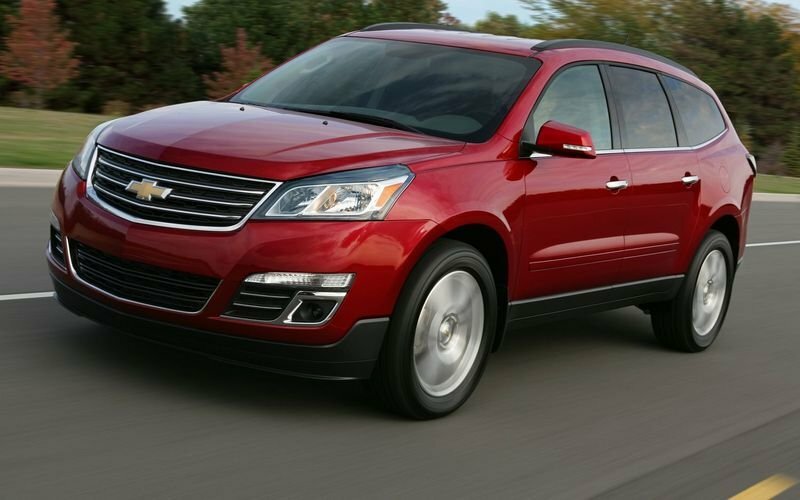 The Traverse has a longer wheelbase that brings more interior volume and a more stately side profile appearance. 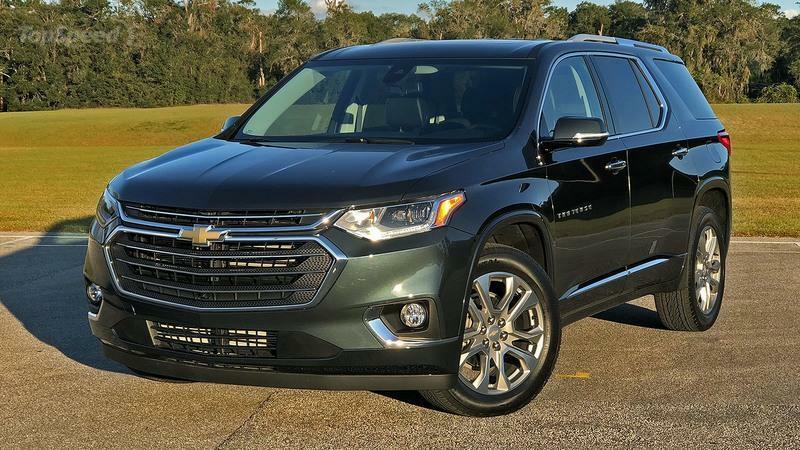 Introduced for the 2018 model year, the second-generation Chevrolet Traverse is a significant departure from its predecessor, boasting a sportier look, state-of-the-art technology, and offering best-in-class maximum cargo room. 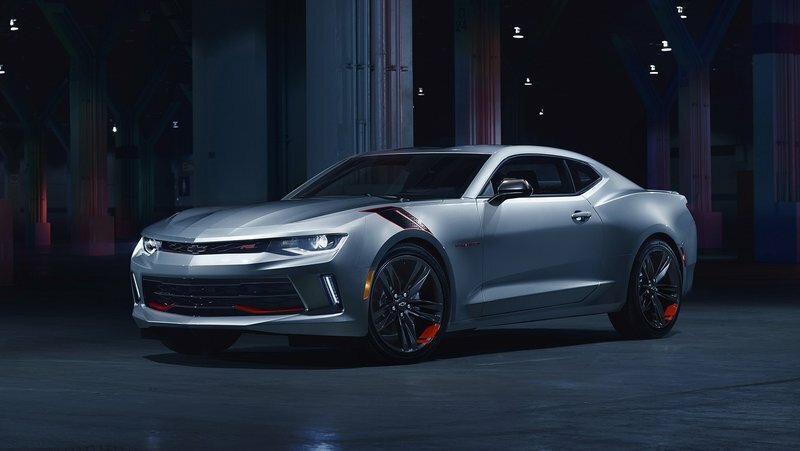 The old 3.6-liter V-6 was also replaced with a brand-new unit, but Chevy also announced plans to fit a turbocharged four-cylinder in the SUV. The new engine was unveiled at the 2018 Chicago Motor Show in the Traverse RS, the first-ever Traverse to sport a turbocharged powerplant. Alongside forced induction, this model also gets a few visual upgrades inside and out. It’s pretty much the SUV version of the Sonic RS. It also gets quite a few extra standard features. It’s not the fanciest trim available, but it’s very similar to the Premier model in terms of equipment and price. You can always go with the High Country model if you’re into a more luxurious cabin, but if you’re looking for a sporty appearance, the new RS is the best choice you have. Let’s see what set it apart in the review below. 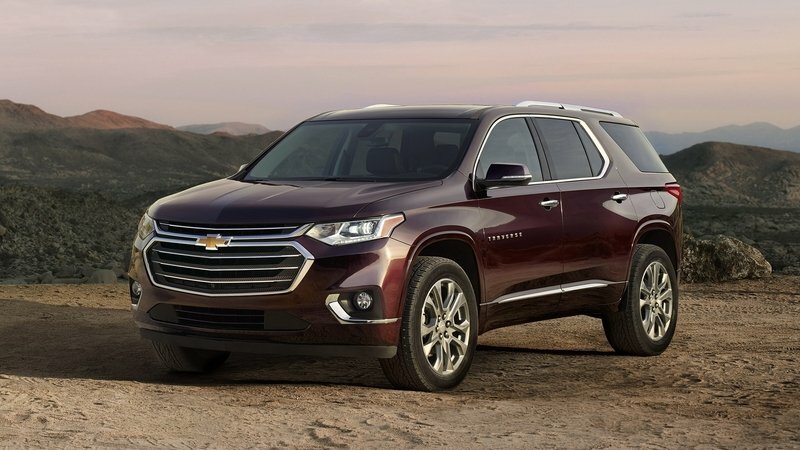 The Chevrolet Traverse is all-new for 2018, and it’s a big improvement over its predecessor. It sports an all-new design inside and out, and it offers more space for up to eight passengers and their stuff. Going nose-to-nose with the new VW Atlas and other midsize, three-row crossovers, it makes a pretty solid case for itself. That was the main impression the new Chevrolet Traverse gave me during a week-long test drive. Is this the right crossover for your family? Read on. The vehicles that benefit from the bundle and are on display in Chicago are the Cruze LT, Malibu LT, Camaro LT and SS Trax LT, Equinox LT, Traverse Premier, Colorado LT, Silverado Double Cab LT Z71, and Silverado Crew Cab LTZ Z71. The Cruze LT Redline is available in both sedan and hatchback versions, while the Camaro LT/SS Redline can be had both coupe and convertible body styles. All Redline models are fitted with black wheels with distinct red hash marks, black nameplates with a red outline, blacked-out grilles, and black Chevrolet "bowtie" logos. Customers can also opt for red tow hooks on Silverado and Colorado trucks and unique black hash marks above the front wheels on Camaro pony cars. General Motors is slaying the 2017 Detroit Auto Show with new metal, including the all-new 2018 Chevrolet Traverse. This three-row crossover continues the Traverse’s reign of family-friendly utility, but adds a high-class exterior and upper middle-class interior to the mix, finally reliving the Traverse’s ageing design that’s been around since 2009. 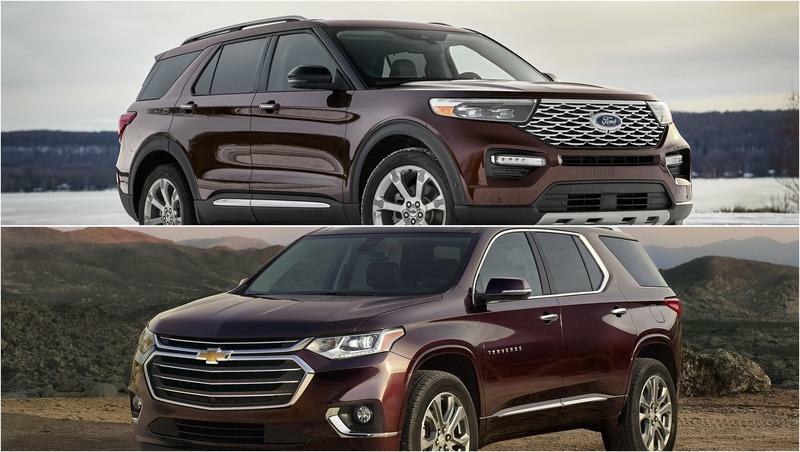 Although a mid-cycle refresh for the 2014 model year kept the hot-selling Traverse moving off Chevy showrooms, the 2018 Traverse marks the first generational change in the nameplate’s history. 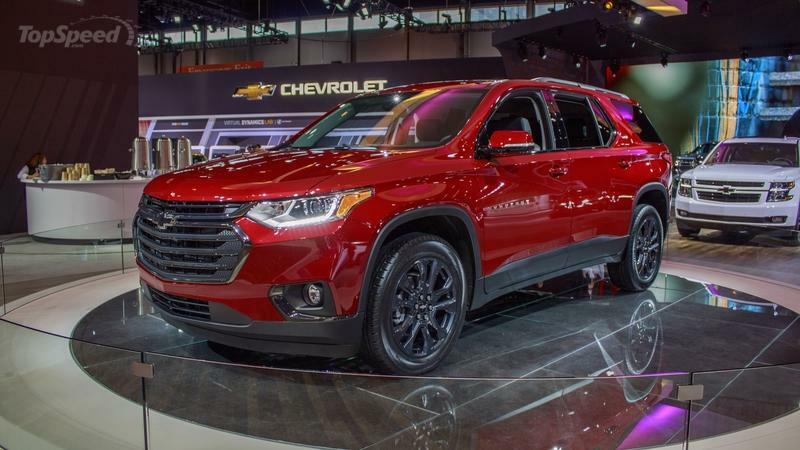 This new second-generation Traverse now has a far more upscale exterior that shares design cues with the Tahoe and Suburban, along with Chevy’s smaller crossovers and sedans. The 2018 Traverse rides on GM’s new C1XX platform. Though this is the same platform that underpins the 2017 GMC Acadia, the Traverse’s footprint is larger, allowing for more interior space. Its eight-passenger seating remains, making it one of the segment’s most versatile contenders. Optional second-row captain’s chairs reduce seating to seven, but provide an easier third-row entrance while giving second-row passengers more personal space. Chevy says it has 98.5 cubic feet of cargo room and 33.7-inches of third-row legroom. Both figures are expected to be best-in-class for 2018. Chevy is introducing a new engine inside the 2018 Traverse. Acting as the standard engine, a 2.0-liter turbocharged four-cylinder comes mated to a nine-speed automatic transmission. The engine makes 255 horsepower and 295 pound-feet of torque, which is more twist than the Traverse’s optional 3.6-liter V-6 produces. Speaking of the V-6, it’s the same carryover 3.6-liter as before. It does get a power boost to 305 horsepower, but torque remains at 260 pound-feet. It comes mated to the same nine-speed automatic as the four-cylinder. Two new trim levels arrive for 2018. 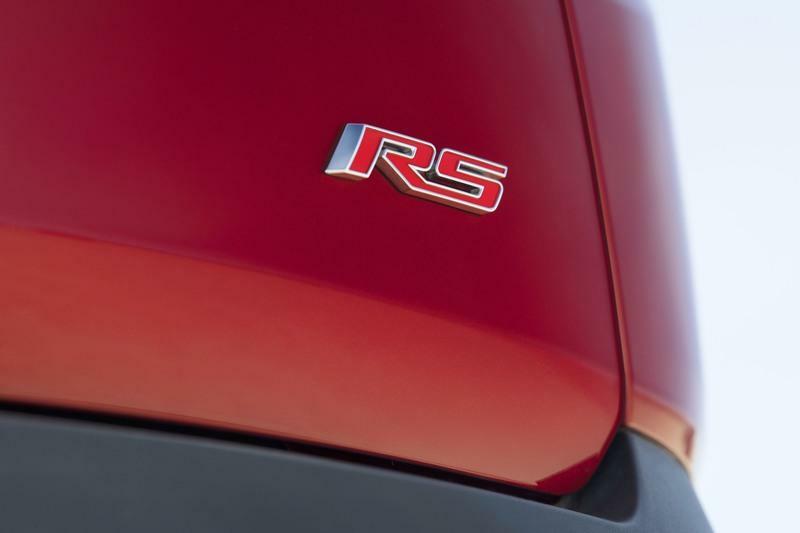 A new RS trim acts as the entry-level model and is exclusively paired with the 2.0-liter turbo-four. 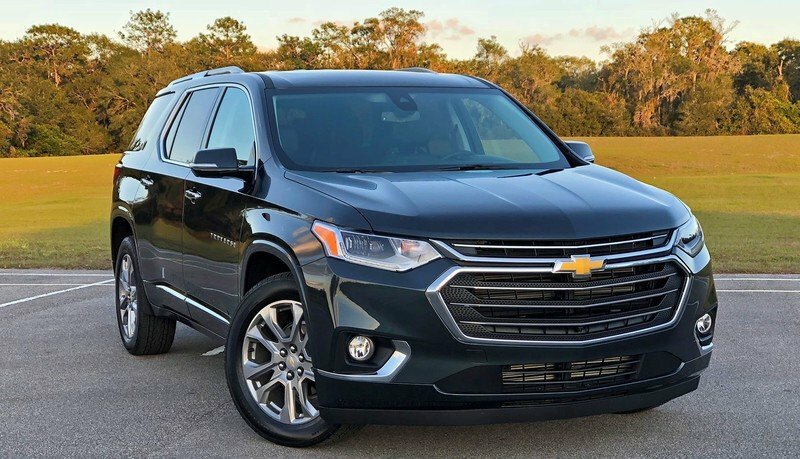 At the opposite end of the spectrum, the Traverse gets Chevy’s High Country trim with the same saddle-leather style seating found in the Silverado High Country. Suede accents in the seats, 20-inch wheels, D-Optic LED headlights, and a trim-exclusive dual-clutch AWD system set the High Country apart. Chevy expects the 2018 Traverse to hit showrooms in the fall of 2017. Assembly will happen at GM’s Lansing Delta Township plant. Though Chevy wasn’t forthright with information on the new headlights, a quick search reveals D-Optic headlights are a new generation of LED leadlight design with multiple 1x1 LEDs close coupled with injection molded lens optics that provide strong forward lighting with minimal energy requirements. General Motors is set to debut two, all-new crossovers at the 2017 North American International Auto Show in Detroit come January. The news comes from a source with knowledge of GM’s plans who spoke under anonymity to Automotive News. 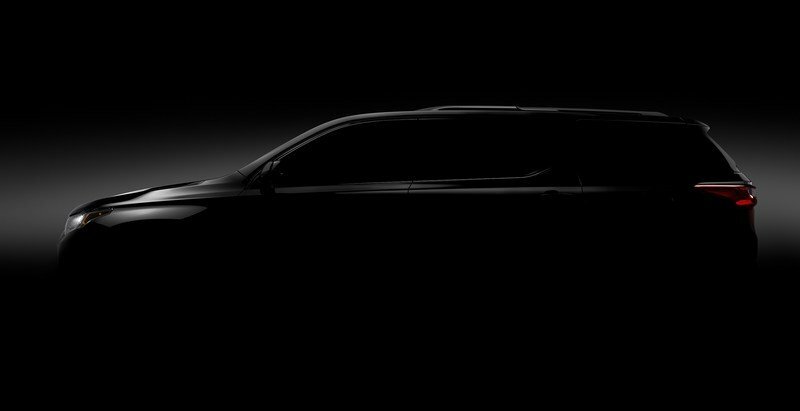 The two crossers will be the 2018 Chevrolet Traverse and 2017 GMC Terrain. The two family friendly vehicles are the oldest crossovers the GM’s fleet, with both dating back to GM’s 2009 bankruptcy days. In the years since, GM has focused on improving its pickup truck, large SUV, and sedan lineups. Attention has now turned to crossovers. 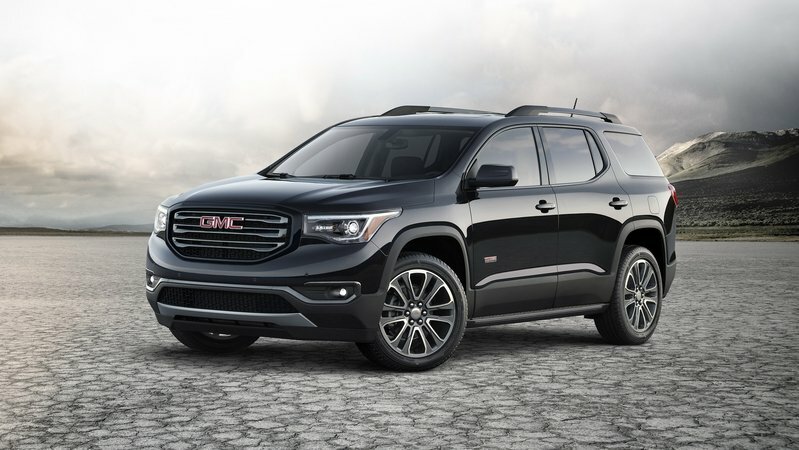 The first member of GM’s new generation of crossover is already selling at dealerships: the 2017 GMC Acadia. 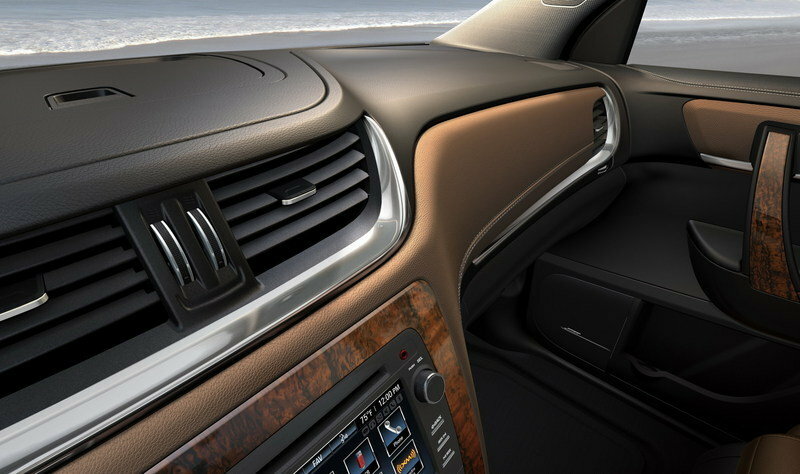 It rides on the C1XX platform shared with the 2017 Cadillac XT5. The 2017, second-generation Acadia is smaller than its predecessor, but still has three rows of seating for up to seven passengers. 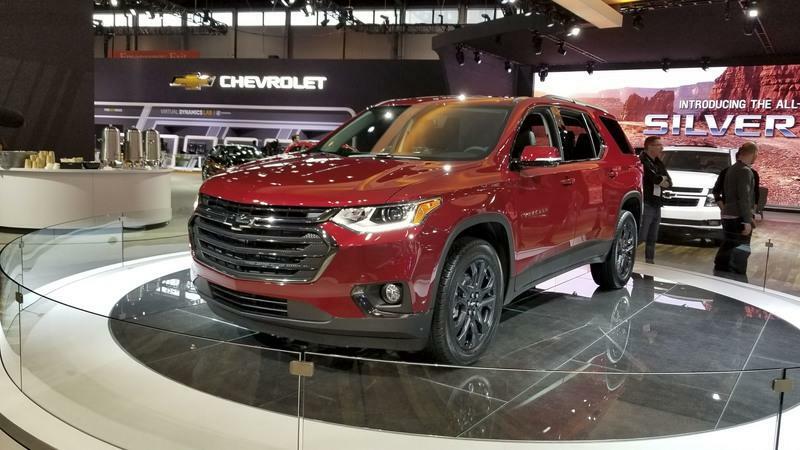 The same platform update is expected for the next generation Chevy Traverse, however it’s expected to retain its larger size. 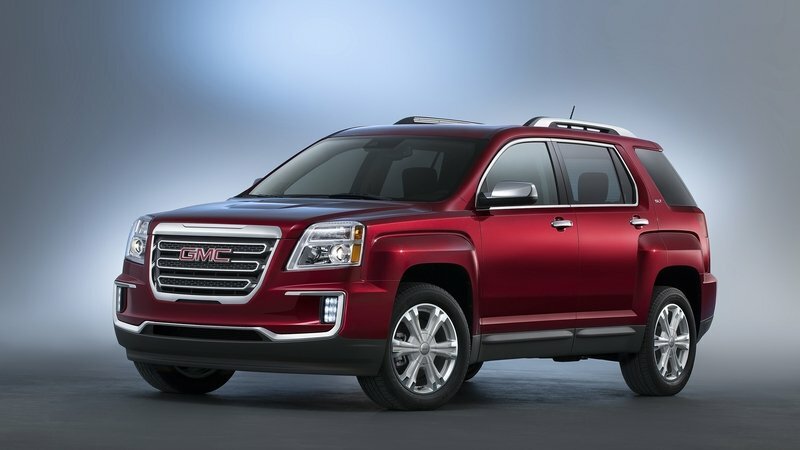 As for the GMC Terrain, it will debut with a new platform shared with recently released 2018 Chevy Equinox. Both are likely to share the same powertrain options, which include a 1.5-liter turbo-four, a 2.0-liter turbo-four, and a 1.6-liter turbodiesel four-cylinder. 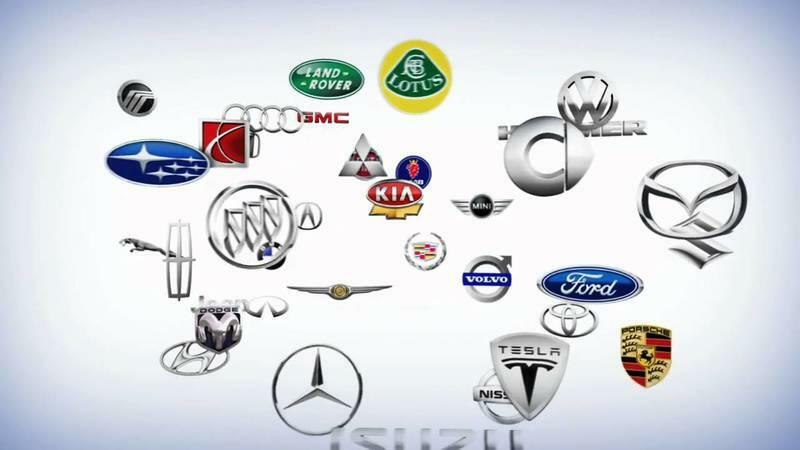 These updated crossovers should find great success as consumer trends have shifted towards crossovers. 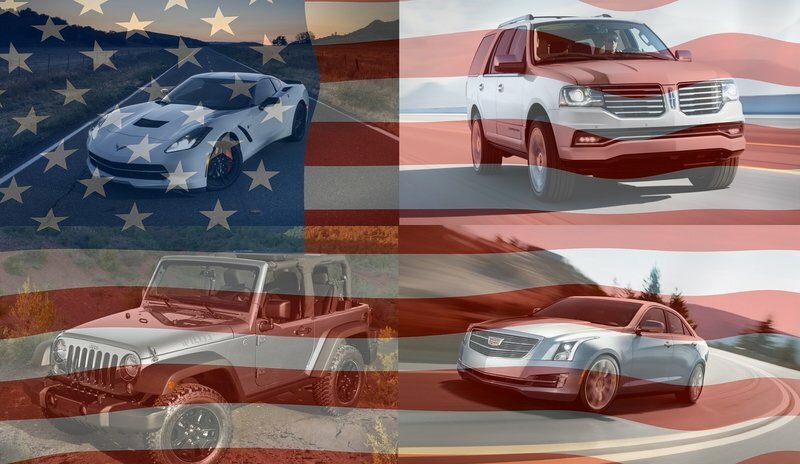 Even at their current age, GM sold 119,945 Traverses and 112,030 Terrains in 2015. The Detroit Auto Show will take place January 8 through 22, with the most debuts happening Monday, January 9 and Tuesday, January 10. TopSpeed will be covering the show in force, so stick around for all the latest releases. GM is working on leasing four retail spaces to open a “Test Drive Studio” that would offer consumers a chance to test drive cars from rival manufacturers, including three of rival Chevrolet’s vehicles before purchasing them, The test drive program will launch in Chicago, Los Angeles, Miami, and Philadelphia and will include the Equinox, Traverse, and Malibu as well as rival vehicles by Ford, Toyota, and Honda. 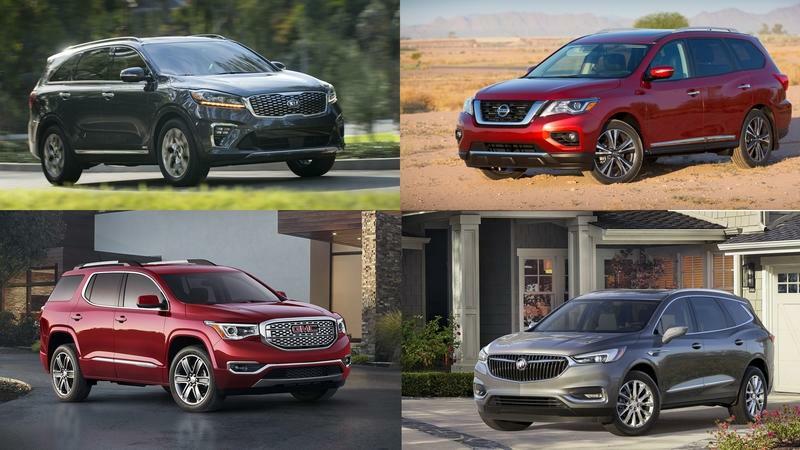 "You come in and drive any of these competitive products at your leisure," Steve Tihanyi, GM’s general director of marketing services, said during a conference in Chicago. "You don’t have to go running around town to go to a bunch of dealerships." "It fits perfectly with ’May the best car win,” Tihanyi said of a slogan used by GM in recent advertising. "We’re going to see how it plays out." The program is due to launch by mid-spring. 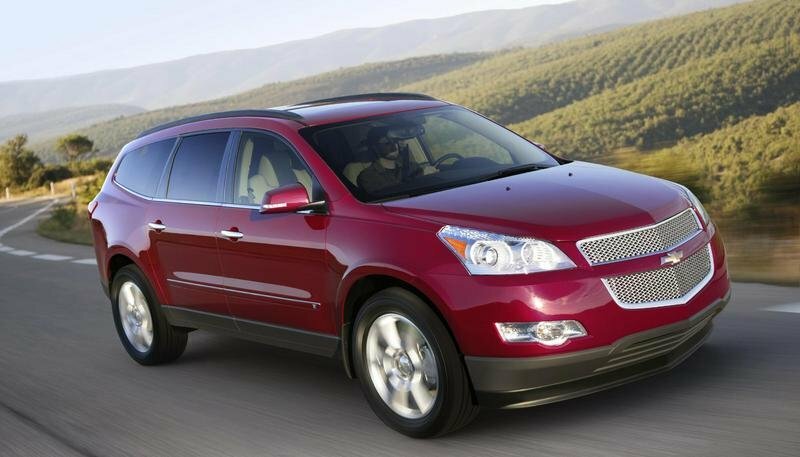 General Motors hopes to satisfy the needs and wants of both minivan and SUV buyers with the 2009 Chevrolet Traverse CUV. The crossover that debuted last year at the Chicago Auto Show has 10 cup holders, seating for 7, a potent direct injected V6, optional 4 wheel drive, third row seating and promises return on average 20 miles per gallon. 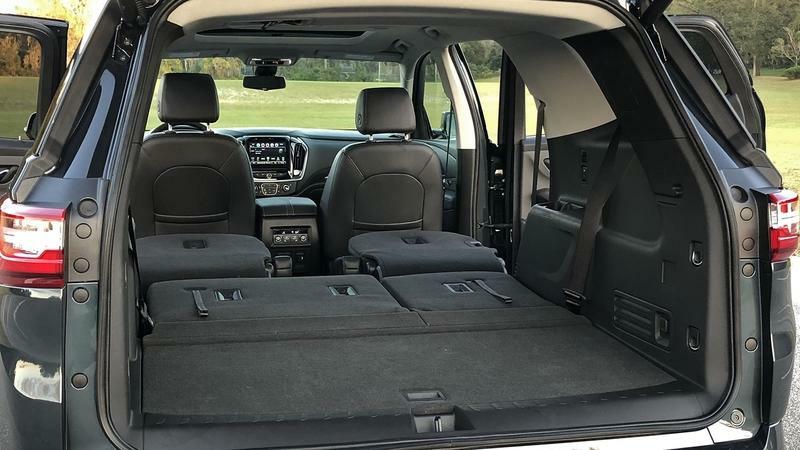 Starting at just under $30,000 the Traverse is an attractable package that offers the amenities of a minivan with the outward appearance of an SUV. 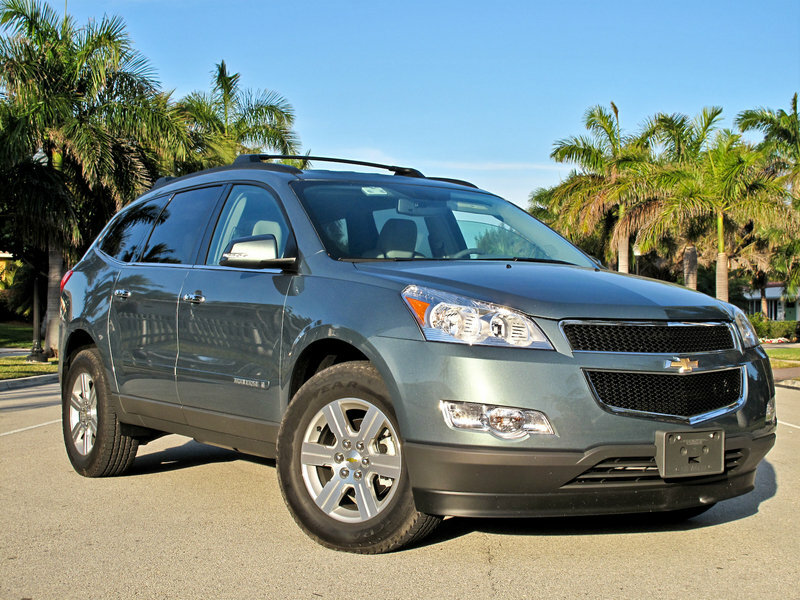 The large grill is the first thing that you see on the Traverse and it is distinctly Chevrolet. The opening is cut in half by a horizontal bar that displays a bowtie front and center. The piece is almost identical to the grill of the Chevrolet Malibu and hints at a possible design theme for the future. The 2009 Chevrolet Traverse was officially unveiled at the Chicago Auto Show early this year. It will go on sale this fall at a price starting from $28,990. 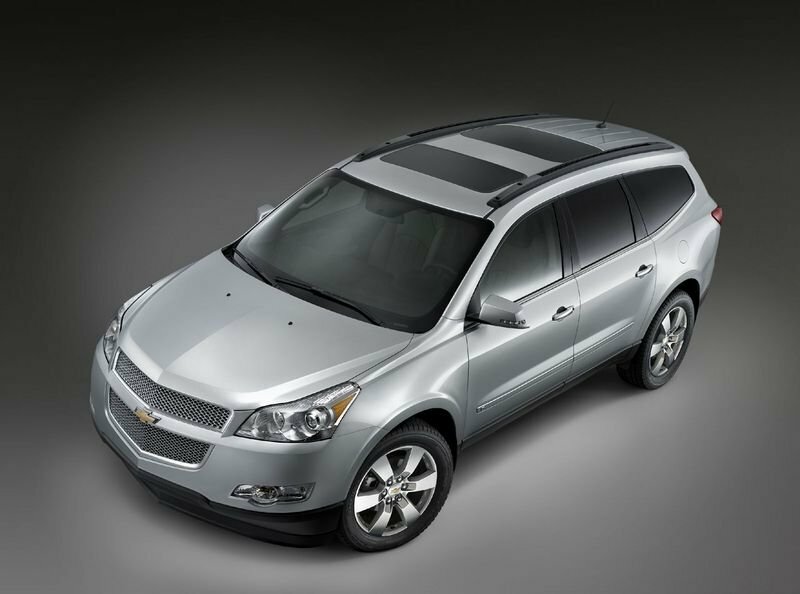 Recently the crossover was awarded the Insurance Institute for Highway Safety’s (IIHS) Top Safety Pick for 2008. 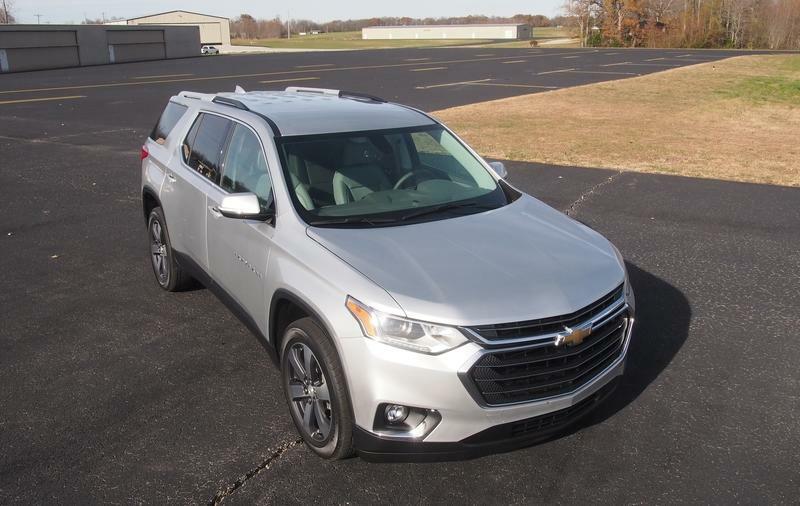 This significant safety award results from the Traverse meeting the Institute’s highest rating for performance in its demanding front, side and rear impacts in addition to providing standard Stabilitrak, GM’s electronic stability control system. Chevrolet announced the 2009 Traverse crossover will carry a MSRP of $28,990, including a $735 destination charge, for the 2WD LS model. It goes on sale this fall. 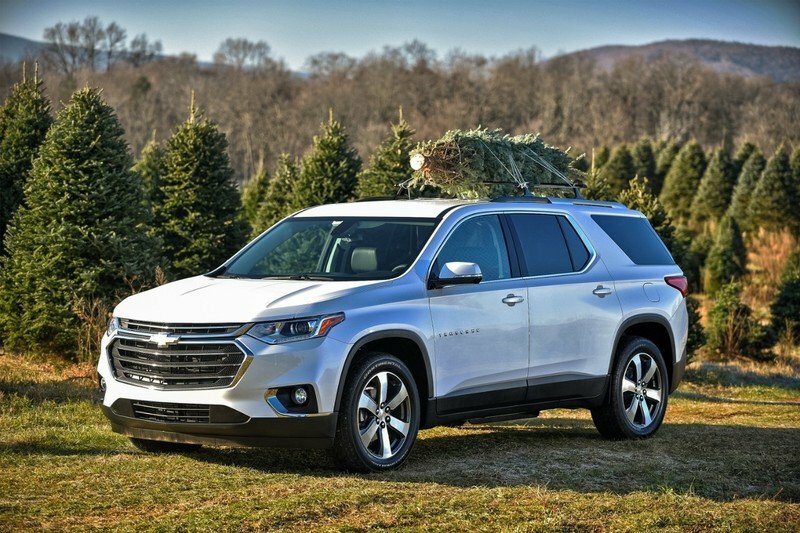 “With its great styling, leading fuel economy and comprehensive roster of equipment, the Traverse is a great expression of Chevrolet value,” said Ed Peper, Chevrolet general manager. 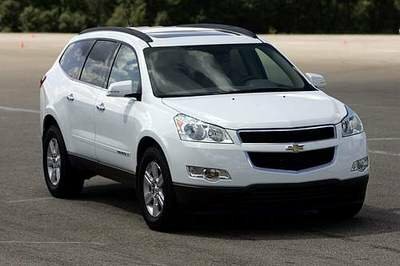 The 2009 Chevrolet Traverse is an expressively styled, well-equipped crossover that delivers people-hauling and cargo-carrying capability typically found in larger SUVs. It is offered in LS, LT and LTZ models, in both front-wheel-drive and all-wheel-drive configurations. 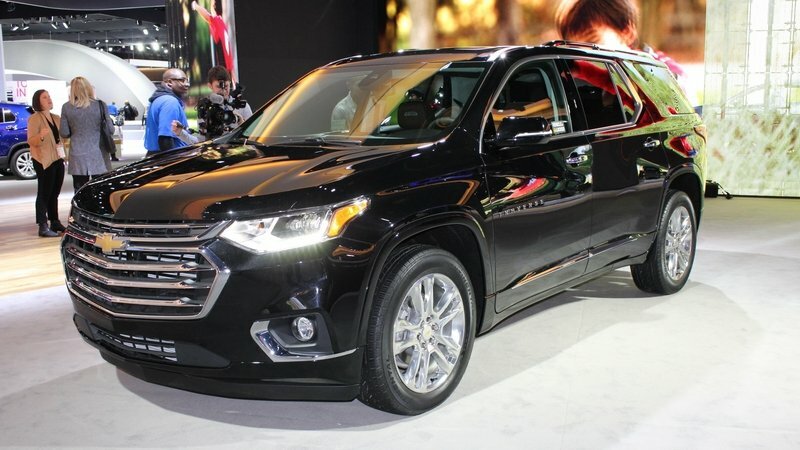 The 2009 Chevrolet Traverse will be powered by a 3.6-liter direct injection V-6 engine that produces 288 hp and a torque of 270 lb-ft. This means more power, but also better fuel efficiency than its 2008 brothers, the Saturn Outlook, Buick Enclave and GMC Acadia. The front-wheel drive Traverse will hit 17 miles per gallon in the city and 24 mpg on the highway. The all-wheel drive Traverse will have an EPA mileage rating of 16 mpg in the city and 23 mpg on the highway. All of the seven- or eight-person crossovers offered by GM will include this new engine. 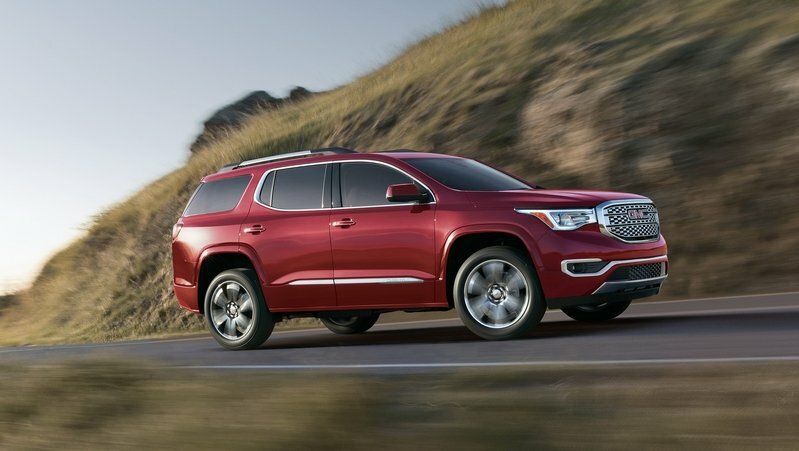 However, not all of them will offer the 5,200-pound towing capacity of the Traverse. The Outlook can tow 4,500 pounds. The 2009 Traverse will be offered in three trim levels, the LS, LT and LTZ. Pricing is expected to be released later this week. GM launched at the Chicago Auto Show the 2009 Chevrolet Traverse, an expressively styled, well-equipped crossover that gives customers people-hauling and cargo-carrying capability typically found in larger SUVs. production will start in the third quarter of 2008. 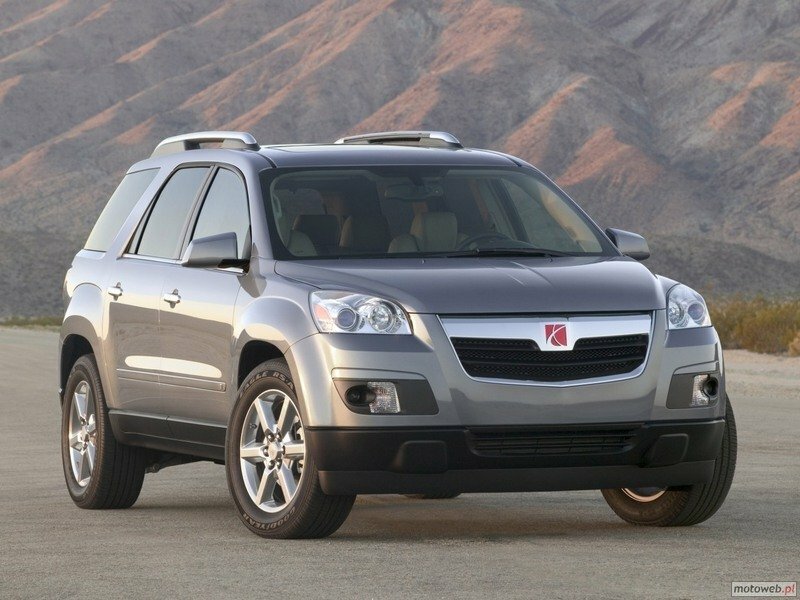 The 2009 Traverse takes its styling cues from the acclaimed ’08 Chevy Malibu. It will be available in LS, LT and LTZ models, in both front-wheel-drive and all-wheel-drive configurations. The new crossover is powered by a 3.6 liters direct-injection engine that delivers 286 horsepower and 255 lb.-ft. of torque. The engine is mated to the Hydra-Matic 6T75 six-speed automatic transmission, an advanced transmission with clutch-to-clutch shift operation for front- and all-wheel-drive vehicles. The transmission’s six-gear configuration allows for a “steep” 4.48:1 first gear, which helps deliver exceptional launch feel, and a 0.74:1 overdrive sixth gear – the “tall” overdrive gear lowers rpm at high speeds, reducing noise and vibration. Also, the 6T75 offers automatic grade braking, shift stabilization and precise shift control. 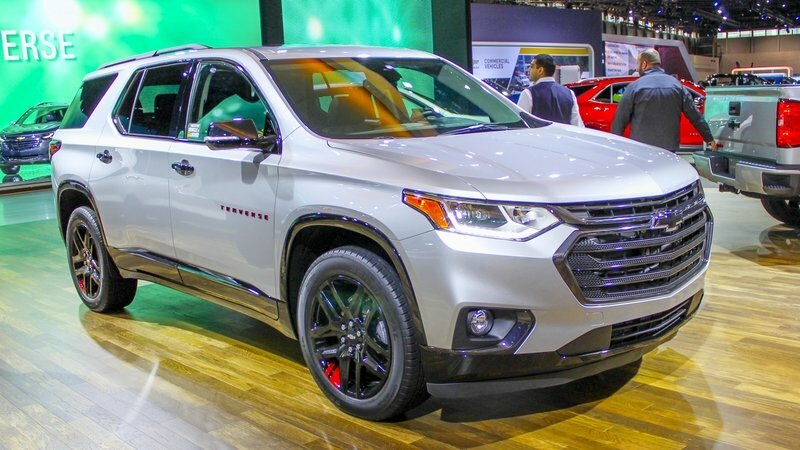 Traverse rides on a long 118.9-inch (3,019 mm) wheelbase, with a wide 67.8-inch (1,721 mm) front track and 67.4-inch (1,712 mm) rear track – a combination that lowers the center of gravity and enables smooth, stable ride and handling. 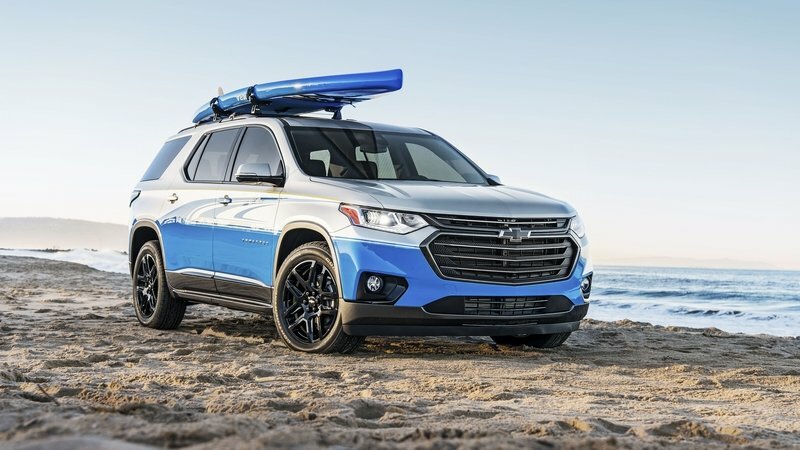 General Motors is working on a new mid-sized Chevrolet crossover, called Traverse that will be unveiled next years and will arrive in showrooms as a 2009 model.